How do you even write down or find the words to describe the experience of finding yourself in the plaza in front of the Cathedral de Santiago after walking for 16 days? I can try, but let me preface this whole blog with the fact that these words are nothing in comparison to the experience. We got up at 5:30 AM to make sure that we got in to Santiago before the pilgrims mass at noon. It was so strange to wake up in the dark and prepare for our last walk. We started out and had flashlights and headlamps and we entered back onto the trail in this forest where the trees create this perfect canopy to walk under. The sun started to come up and we were all trekking on towards the city we thought we would never reach. Along the way we were hearing about Mt. Joy, the last obstacle to get over. Everyone was grumbling and worrying if we had enough energy to get over it, and then the funniest thing happened. We were standing on top of Mt. Joy next to this huge monument and looking down on Santiago. We almost let the fear of the climb keep us from the top, and in the end, the challenge was nothing in comparison to what we are capable of doing. The view was breathtaking and heart breaking because we were still an hour out. So the sprint begins. You are on the outskirts of the city and are following little copper shells that are cemented in the pavement throughout the city. Then you see the first spires of the church over the buildings and you’re heart skips a beat. Then you start to hear street musicians playing bagpipes and Galician guitars, and you’re smiling from ear to ear because you know you’re almost there. Out of nowhere there is a descending staircase with a giant archway, and the music is overpowering, and hoards of pilgrims are rushing, and you reach the bottom, and turn to your right, and stop. You are standing in a giant plaza with the cathedral dominating the entire view, thousands of pilgrims hugging and crying, people running and snapping pics, and then others just taking in the culmination of their journey. And there I was. Standing in the middle of this square staring up into this architectural and religious masterpiece. Spoiler Alert: I was crying. It was overwhelming and exciting all at once. You couldn’t believe you had made it, and then you were watching the other pilgrims and understanding exactly what is happening to them. Then you walk into the church. You smell, you have everything you own on your back, you’re standing amongst thousands of others, and you feel tiny in comparison to the size and the ornate-mess of the cathedral, but you don’t feel out of place. You have never felt more right in your location. And while you don’t understand the whole mass, you do. The music, the prayers, the unity. Then the giant incense starts to swing across the whole church, and the pilgrims are cheering and the tears come again. And then it’s over. And it’s shocking. Assimilating back into society these past two days has been strange. Not carrying your belongings and having more than one pair of pants has been nothing short of a miracle. And what do you do? What does this mean from here on out? I ran into Kari (our Oregon friend) while we have been enjoying Santiago, and she made a great point. Is this trail a realization or a life lesson….what’s the difference? And she laid her wisdoms on me…. We realize a lot of things about our life on the trail, but we make this journey a life lesson when we apply our realizations to our life. 1. Take each day as it comes. No need to race toward tomorrow, or let the hard days overpower you. Together they blend into the journey. 2. You can do it. Whatever it is. You can. 4. Remember that everyone is on a path. We walk it differently and at different speeds and we may even take alternate routes, but it’s all the same. Show compassion. And honestly I could go on for hours, but that’s not the point. So I’m honored to have had you all here with me, and I can’t wait to share the stories in person. 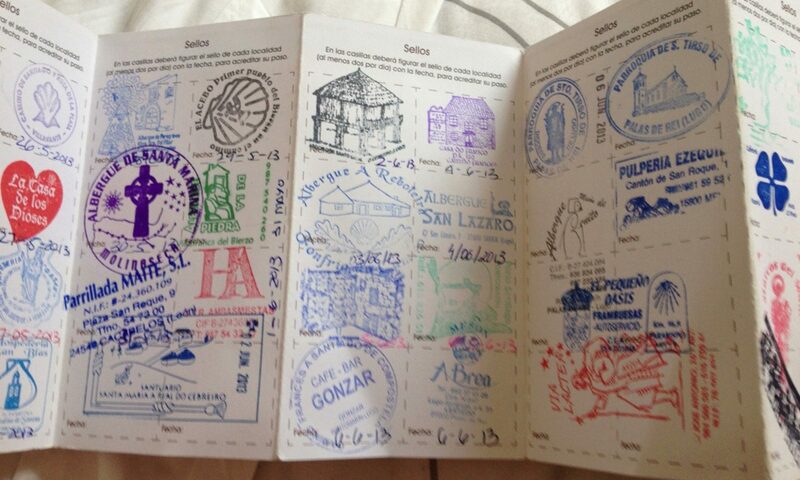 The adventure will continue in Santiago if you care to follow, but for now, my Camino is complete. 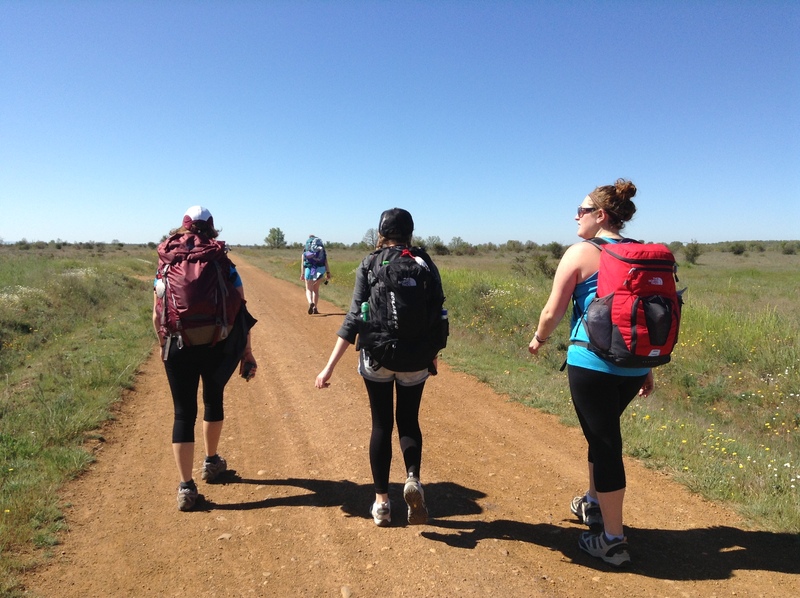 I agree with your conclusions (or Kari’s) and wish you the best in the new Camino starting today, everyday. Buen Camino peregrina!